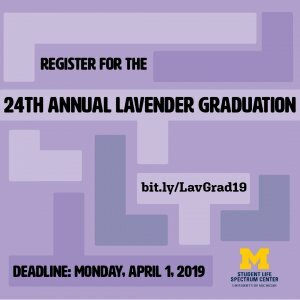 The Annual Lavender Graduation, also referred to as LavGrad, is a celebration to honor LGBTQ graduates of the University of Michigan. Established by Ronni Sanlo in 1995, University of Michigan was the first commemorative event of its kind celebrated at an institution of higher learning. This commencement ceremony acknowledges the contributions of any graduates from any school/college at the University and of any academic level. 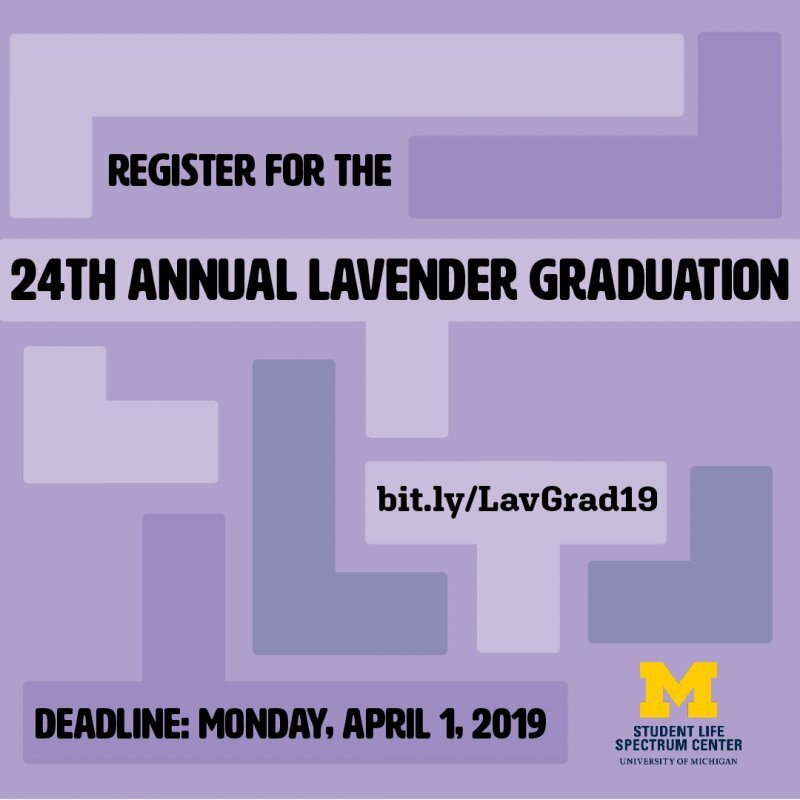 All participants within the LGBTQ communities will receive a free rainbow 2019 tassel, a lavender cord, and a Lavender Degree. Participating graduates are welcome to invite their loved ones to celebrate their accomplishments. Those with any accessibility or accommodation needs can email spectrumcenter@umich.edu. Please email at least 2 weeks prior to the event. We want this event to be accessible to all!